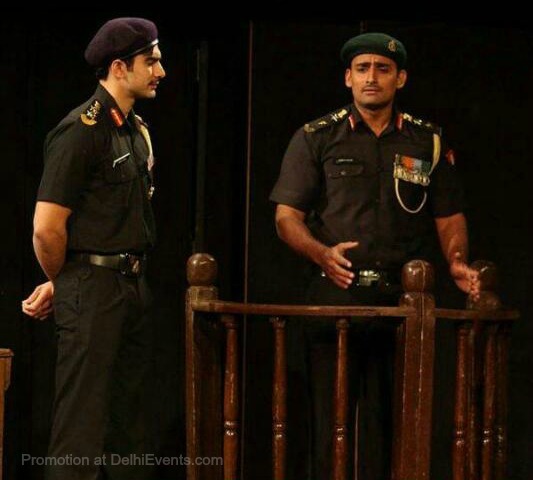 Event Description : Asmita Theatre Group presents Swadesh Deepak's "Court Martial" Hindi Play. Synopsis : When respect is denied to a man for the only reason that he is borne by 'low-caste' parents, the offence cannot simply be termed as a social violence. It assumes larger proportions of crime against humanity and society at large. Yet by the turn in situation the murderer becomes a win...ner whereas the victim is unforgiving.The culprit may receive severe punishment at the hands of the law but, in fact, it is the society which is put in the docks. Court Martial, written by Swadesh Deepak, is a story of recruit Ram Chander who is tried for murdering one of his officers and injuring another. The Court Martial is presided by a war veteran. Col Surat Singh who has witnessed many 'life –and –death' situation. But this trial puts him in a queer position, so far unknown to him, and during the course of interrogation he realize that the issues at stake are much larger than what meets the eye. Realizing that the Indian army is the only government agency in which reservation on caste basis is not permissible. Court Martial presents a combination of legal and poetic justice.